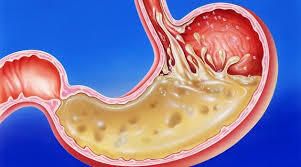 Normal stomach acid assists in killing bad bacteria and fungi in the stomach. It is also needed for protein absorption and assists with vitamin and mineral absorption. Be very careful to just take anti-acids. Rather establish the cause of the problem and address that. Have you got reflux or heartburn? If so and you cannot solve your reflux or heartburn contact your integrated healthcare professional to assist you.